DO NOT FORCE! This connection should be allowed to happen naturally and with minimal effort – choose to be open minded in that you may or may not make a connection immediately, and the process may take weeks of dedication, but the key is – remain detached from the outcome, release expectation, do NOT strain!! Your intent to connect is put out PRIOR to the meditation. When meditating your focus is on your breath, with a sense of awareness of what is happening. Create the space where you won't be interrupted, and set the ambience and the mood. Perhaps light some incense, burn some essential oil (Lavender is always good), light a tea-light candle (in a holder! ), or play some lovely relaxation music such as Terry Oldfield's “illumination” . Panflutes by the Ocean is another nice relaxing melody – you want something that allows you to “BE” in the moment, without any loud crashing bells, shrieking birds or rolling waves to distract you from your purpose. The aim is to provide total undisturbed peace during the “contact”. **KEY information – critical to this technique is the capacity to focus on breathing - start with three large and deep breaths – (inhaling to the count of five) IN.. one.. two.. three. Four.. five.. HOLD - One.. two.. three. .four .. five.. EXHALE.. one .. two.. three.. four .. five.. Do this big breathing three times, and then shift the method to inhale,hold, exhale, hold for the count of three. Then let your breathing follow its natural rhythm. Make yourself comfortable either sitting or lying down – you will need to sustain the same position for approximately 20 minutes. Be aware that if you choose to lie down you may fall asleep, so perhaps start from a lounge chair. Once you are comfortable – state your intent “I choose to connect with my guardian Angel/Higher Self/Light Support Team, to receive healing for whatever I need for my highest good, I invite and Invoke my guardian to step forward into my auric field so that I might feel and know them at a more personal level, and I call upon Father Creator, Mother Creator, Source, My Angels and Guides, All That I Am, to assist in this process. I give thanks for I know that as I ask – so it shall be. When I ask – I receive, and I give thanks”. (Adjust the invocation to something that feels right for you!). Flex your muscles to relax them. Start with your toes, feet, calves, legs, lower abdomen, torso, shoulders, arms, hands, fingers, neck/jaw, and then start to focus on the breath/visualisation). **NOTE: YOU MIGHT ALSO WANT TO PUT A TIME FRAME ON THIS EXERCISE – TWENTY MINUTE IS PERFECT! - YOU CAN ASK YOUR GUIDES TO BRING YOU OUT AFTER THIS TIME FRAME TO ALLOW YOU TO CARRY ON WITH YOUR PHYSICAL TASKS”. This technique requires that you see yourself at the start of the meditation , at least for a fraction of a second with cords the colour of burnt copper or orange/gold running from the souls of your feet, deep down into the core of the earth. At this point you will try and PUSH the cords out of your feet far, far deep down and into the core of the earth. Then you put your attention onto your head, where in your minds eye you see your head encased in a little silver cap with a peak/ point at the top. This point has a thread running from it – from the tip of the cap way up into the infinite heavens. See the thread go from the top of your head upward into the heavens, beyond your vision and your imagination and into the universe beyond. This thread connects you to the universal knowledge and wisdom of the "heavens". Now shift your focus to your auric body. In your minds eye you can see yourself – much like a bobbin on a piece of cotton.. you are perfectly balanced between heaven and earth, suspended on your cords that run from your feet and from your crown. Around your body, in your minds eye you see your aura in the shape of an egg, which extends 1.5m (or three feet) from each point of your body. With each exhale you see in your minds eye your egg shaped aura filling with more and more light coloured golden as the sun. You are drawing breath from the heavens through your crown, and exhaling it into your auric “egg”. In your minds eye just see yourself building this beautiful sun-gold aura. Sit within the aura and relax and keeping your focus on your breath. Continue to keep your breathing regular and allow yourself to FEEL the experience. Just being in the moment. Don't try and force anything, the aim is to be peaceful and relaxed and AWARE and present of everything in the moment. Notice sensations in your body, notice any sounds or smells but allow yourself to hold this position in the light. Just... BE .. .aware of any sensations that you might feel or any images that come to mind. 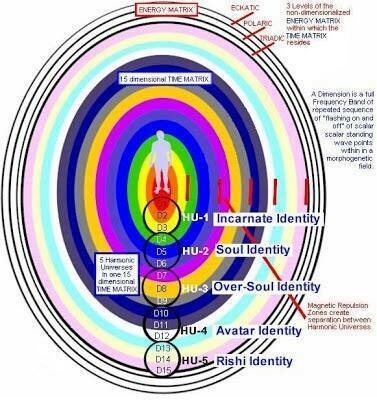 The key here is to be an OBSERVER of what happens within and around your immediate auric field. When you return back to the conscious state you will feel peaceful and well balanced. Before standing, make sure you go through the process of flexing your muscles to get the blood back into them, stretch them all out, from your head/neck down to your toes. You may also want to go and “GROUND” yourself effectively, with a walk or a glass of water, stand barefoot in the garden or “hug a tree”. For some scientific reason unknown to myself – by creating the golden auric field around us and putting the focus on it, energetically it is easier for our “light team” to step into it. I believe that the golden light offers a “meeting of energetic vibration where we as humans have raised ours high enough to be able to meet the light beings who have lowered theirs”. Your angel/Guardian will make their presence felt to you any of the following: softest of touch, feeling enfolded and protected within the loving embrace of their energy. You might see them clairvoyantly as a large light body, or you may get a song or sound, or flowery perfume. Bear in mind at all times - our guardians energy never EVER creates feelings of discomfort – if you are uncomfortable, stop visualising and call for healing energy to remove fear and negativity at a cellular level from your aura. If you are clairvoyant or opening up to clairvoyant sight, you may notice movement of “spirit” in your peripheral vision (the sides of your eyes). Whatever you do (and it may be difficult!) - DON”T turn your head to see the spirit or vision, allow the vision to come directly in front of you, although you might acknowledge with thought that you can see the moment to the sides and ask it to come forward so that you can see clearly. This whole exercise is a trial/practise. The more we do it – the easier it becomes. 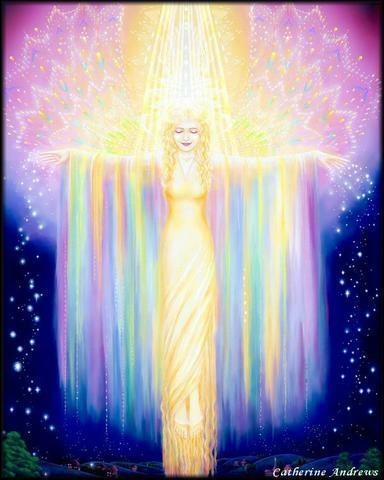 Whether you see your angels or Light Support team or not is irrelevant – even if to start with you don't “FEEL” their presence, pay attention to how you feel afterwards, and note the positive changes that start to enter your life with abundance. Connecting to our angels is a bit like tuning in – the more we connect and invoke and ask – the more we cement the “line” and the quicker the response is. Just remember at all times to follow with gratitude. Although our guides and angels are non judgmental and would never ever abandon us or reject us for their love is unconditional – they also like positive feedback and a little gratitude goes a long way! NOTE: EACH CONTACT IS PERSONAL - IT IS AN INDIVIDUAL EXPERIENCE, AND AS SUCH, IT IS BEST TO HAVE YOUR EXPERIENCE, RATHER THAN TO BE LEAD WITH EXPECTATION BY MYSELF.